I take a full-body approach to improving pelvic floor function and when assessing someone, I always start with the foot, and work my way upwards from there. So, if you’ve been wearing heeled footwear, you may just find that the calf muscle has shortened, passively over time due to always having a raise underneath the heel of your foot. NB – most sports trainers and some ballet flats have a hidden heel or a super high heel within the factory made insole, by the way so check them out if you don’t believe me. If your calves are tight, you will lack range of movement/mobility in your ankle which has a knock-on effect to your gait, and how your pelvis and pelvic floor functions as you go about your day. So my message is clear: get out of heeled shoes, walk around in bare feet at home to increase foot mobility, and stretch out your calf muscles. Your hamstrings at the backs of your legs are often chronically tight through excessive sitting and the very sedentary nature of our lives nowadays. If these muscles are tight, they’ll pull the back of your pelvis down towards your heels, and attribute to a tight pelvic floor. A tight pelvic floor generally also attributes to a weak/dysfunctional pelvic floor, and the number one best way to gain strength and length into your pelvic floor is to release your hamstrings. So, as the bare minimum, try stretching out your hamstrings as often as you can. 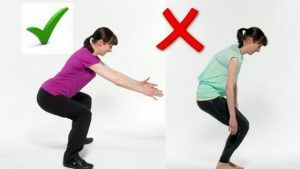 If you read a recent newsletter from me about “poking your bum out” when bending forwards/down to pick something up, I need you to do this consistently, every time, so that it becomes normal practise. So my message here is clear: The more that you tip forwards at the hips, the more you open up your pelvic floor at the back, and indeed lengthen the backs of your legs. When standing upright at the change table, kitchen counter, bathroom sink etc, you’ll want to stand with your feet hip distance apart, toes pointed forwards and bodyweight backed up over your ankles. Most people, when they have a contraption in front of them like a desk, table or counter will start to lean/pitch their pelvic weight towards that object. The more you do this, the more load you’re putting on the spine, and it can really throw off what’s happening the pelvis too. If you’re prone to tucking your tailbone under in standing, this “tuck” will be increased the more you wear your pelvis out in front of you. Can you see the connection now? I cover a tonne of tips in my postnatal and pregnancy exercise classes on pelvic floor health. It’s really interesting to note that once you start to learn how to hold yourself, you start observing others around you randomly on the street etc and it starts to make your eyes bleed a little. Book on my Mummies and Buggies classes where you not only get a great workout that’s safe for your pelvic floor, but you also get to bring baby with you. And, if you’re pregnant, come along Bump to Babe pregnancy fitness, or my pregnancy Pilates classes. Feel as though you need specialist attention for your pelvic floor? Did you know I have a pelvic floor exercise class on my timetable? 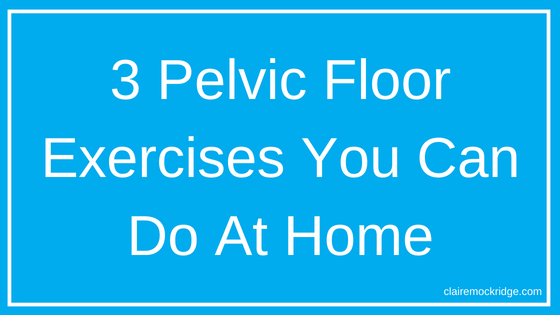 Check out Your Pelvic Matters here where you’ll learn the exact exercises you should be doing on a regular basis to help rehab your pelvic floor. Email me back if you have any questions. Claim your FREE postnatal gift here! Top 10 Tips on Banishing Your 'Mummy Tummy' FOREVER! 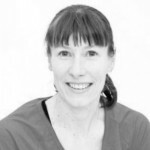 Claire Mockridge is an Ante/Postnatal Fitness Expert, Pilates Teacher and Train-the-Trainer. She's worked with over 1000+ pregnant and postnatal women and enjoys empowering and educating her clients on safe and effective exercise. 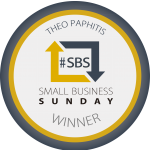 Claire is a Health Columnist for the Nottingham Evening Post, a Health Expert for BBC Radio Nottingham, regularly writes for the national press and is the Winner of Theo Paphitis' Small Business Sunday Award. When should I tell my Fitness Instructor I’m pregnant?